Mr. Banta grew up in Payson, Arizona and has made the Phoenix area his home since 1987. He attended the University of Arizona and received a B.S. in Animal Sciences in 1993. After receiving his undergraduate degree, he studied both ruminant nutrition and reproductive physiology at the graduate level before leaving the University to manage large dairy facilities in Arizona, Hawaii and New Mexico. In 1997 he enrolled in law school at the University of Arizona. 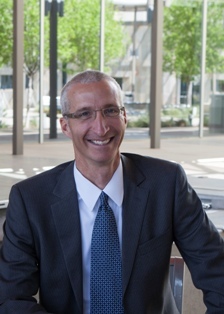 Mr. Banta began his law career as a litigation associate at Lewis and Roca, LLP in Phoenix. In 2004 he left Lewis and Roca to form his own firm, and now continues to provide the same level of personal service and legal expertise with Anderson Banta Clarkson. Mr. Banta focuses his practice on litigation matters, with a special emphasis on representing employees and employers in employment law matters, including Department of Labor investigations, EEOC investigations, unpaid wage claims, restrictive covenant disputes and all types of Title VII litigation. Mr. Banta has successfully represented plaintiffs in age, retaliation, disability and sexual harassment discrimination cases. Mr. Banta recently obtained a directed verdict during a jury trial on a $7,000,000 breach of contract claim against his client. Mr. Banta strives to provide cost-effective representation. For each of his clients, he endeavors to explore all avenues available to resolve legal issues, especially including those that are non-litigation in nature. He tries to determine exactly what his clients want, and then proceeds with whatever is prudent to cost-effectively satisfy that want within the options available. You can reach Steve at 480 707 2835 or via email.